For roofs, windows and doors. Textured as wood. The time of warping is long gone! Are you tired of paying for scaffolding and painters every few years? You want to maintain the structure of wood even in areas which are difficult to access? Never again painting over head! 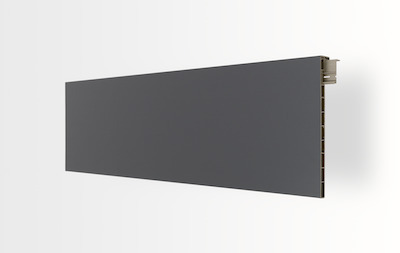 vinyPlus Fascia boards made of high-quality plastics with a UV-resistant textured foil for maximum durability, resistance to rot and insect infestation. Repainting is not necessary anymore. 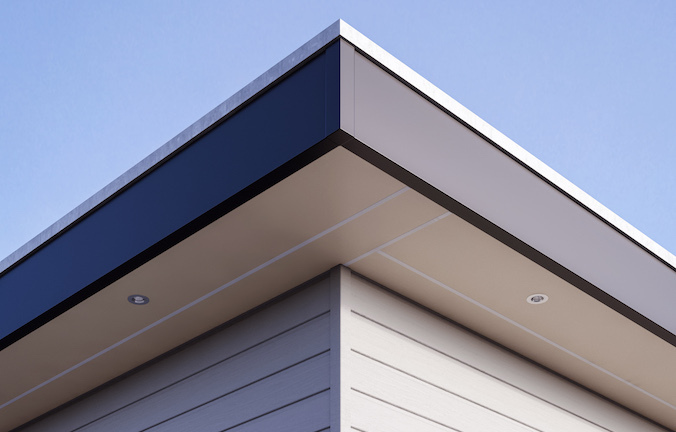 Combined with the vinyPlus shiplap our round profiles, they are particularly suitable for gables and roof edge area – as verge or eaves cladding, for a flat roof finish or even as a windbreaker. 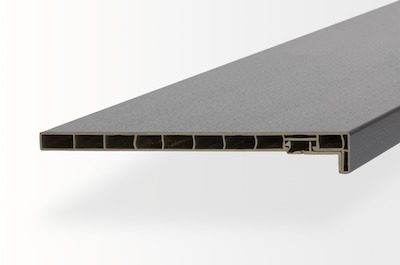 The roof edge profiles can also be used in the range of window and door reveals or as a base paneling.